Han's in trouble! 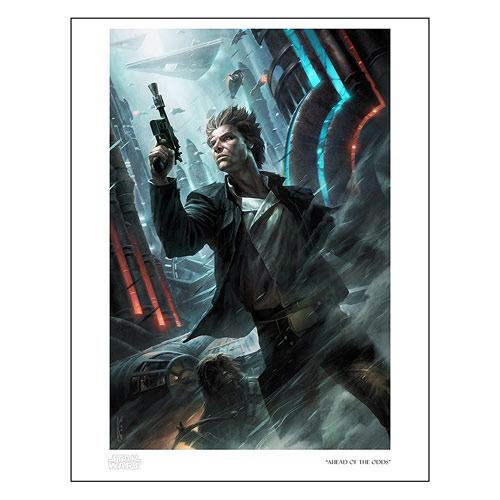 This Star Wars Ahead of the Odds by Raymond Swanland Paper Giclee Art Print features the outlaw and Chewiee, blasters in hand and ready for battle as Imperial Star Destroyers loom in the background and Boba Fett's Slave I closes in. Printed on paper, this giclee is a limited edition of 150 hand-numbered pieces and measures 22-inches tall x 17-inches wide, complete with certificate of authenticity. Ages 17 and up.